Brief Synopsis – Documentary about the lives of people living near volcanoes snd the scientists who study this phenomena. My Take on it – To me, Werner Herzog’s films are either hit ir miss; some are amazing and other bore me to death. Unfortunately, this one fits in the latter category. This film is too technical and boring in the way that everything is presented to us. 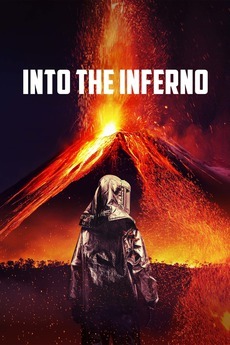 This film has little to offer non scientists besides some beautifully shot footage of volcanoes up close and personal. Bottom Line – Extremely boring Herzog documentary that gets too techical and banal. IMHO, his films are either hit or miss and this one has little to offer besides some beautifully shot close up footage of Volcanic eruptions.